Vitamins are great as a supplement, but when taking in extreme doses on a daily basis can be harmful, this article discussed the harm from overdoses of certain vitamins. Vitamin supplements are great as supplements to your diet, but in some cases overdoses can occur. The human body can withstand only so much of one type of vitamin. There can be deadly results from consuming extreme amounts of vitamins. There are many vitamins and minerals the body needs to be healthy. The vitamins that the body can not store such as vitamin C, are the vitamins that the human body needs and could use extra amounts. The vitamins the body does store like vitamins E, A and D can be taken to the extreme of causing a vitamin overdose. The human body only needs one or two milligrams of vitamin B6 per day, but they are sold in one-gram quantities. When taking this dose of vitamin B6 only take one table every two days and drink plenty of water. If an overdose of vitamin B6 occurs it could cause serious damage, it could cause sensory control and motor control loss. Vitamin E is another vitamin that is often mistreated. There are extreme side effects of consuming more than the body can absorb. The body’s system only needs one hundred to three hundred milligrams of vitamin E per day. There are vitamin supplements on the market that are sold to help grow nails and hair. These are often abused, you need only to take one tablet per day, and consume at least eight glasses of water per day. If an overdose of vitamin E occurs it could cause blood clots, fatigue, tumors in the breast, and reproductive problems. Consumers are unaware of the dangers of vitamins A and D. Most people take vitamins A and D they same way they take vitamin C. The only difference is that if vitamin C is taken in excess it is passed through the kidneys and flushed out of the body. But vitamins A and D are stored in the body’s fat and the liver, causing sever consequences. Toxicity symptoms from vitamin A in retinol form are most common in children and include fatigue, irritability, vomiting, and drowsiness. Adults will complain of bone pain, dry scaly skin, headaches, brittle nails, hair loss and visual disturbances. These symptoms usually occur at high doses for greater than 6 months. 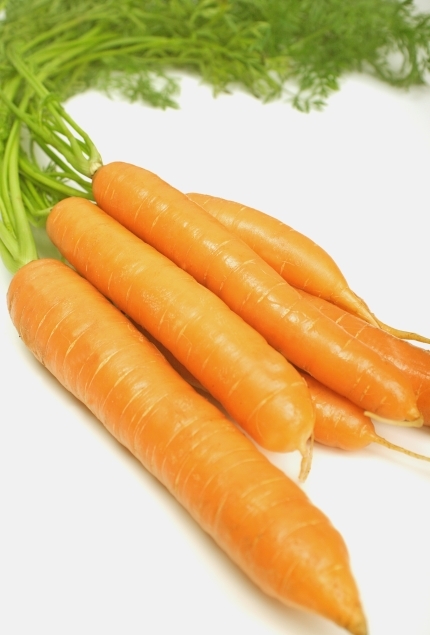 The risks with beta carotene include a yellow discoloration of the skin and depletion of other fat soluble vitamins. Vitamin E should be taken in addition to beta carotene. When taking any vitamin supplements only take as directed, it is best to always consult your physician first. Talk to your doctor about concerns of vitamin deficiency, and he will be able to do the proper testing and diagnose a proper vitamin diet. OMG, absolutely true.. i´ve been wondering about the headaches..!! !